Greg Marr Sr., 67, of Florida, died a week after falling 100 feet from McAfee Knob on the Appalachian Trail, the Roanoke Times reported on its website Thursday night. Marr, who died Wednesday, had been hospitalized with extensive injuries at Carilion Roanoke Memorial Hospital. Marr was flown to the hospital after falling from McAfee Knob in Roanoke County on July 18. According to Roanoke County Fire and Rescue, crews were called to McAfee Knob summit in the Masons Cove area just before 4 p.m. for a man in his 60s. The rescue team had to work together and carry Marr down the mountain before being joined by wilderness medicine doctors. The rescue took place for more than three hours and he was then flow to Carilion Roanoke Memorial Hospital. Drew Carlson told the Roanoke Times that he had just sat down for a lunch break when Marr fell. “I was eating lunch up there and just out of the corner of my eye, I saw this older guy go over the edge,” said Carlson, who told the newspaper that he was a thru-hiker headed to Maine. Carlson said he called 911 on his cell phone and then tried to contact Marr. When he looked down, he saw only tree tops. So he called out. “He responded very flatly, ‘Yes, I need some help,’ ” Carlson said. 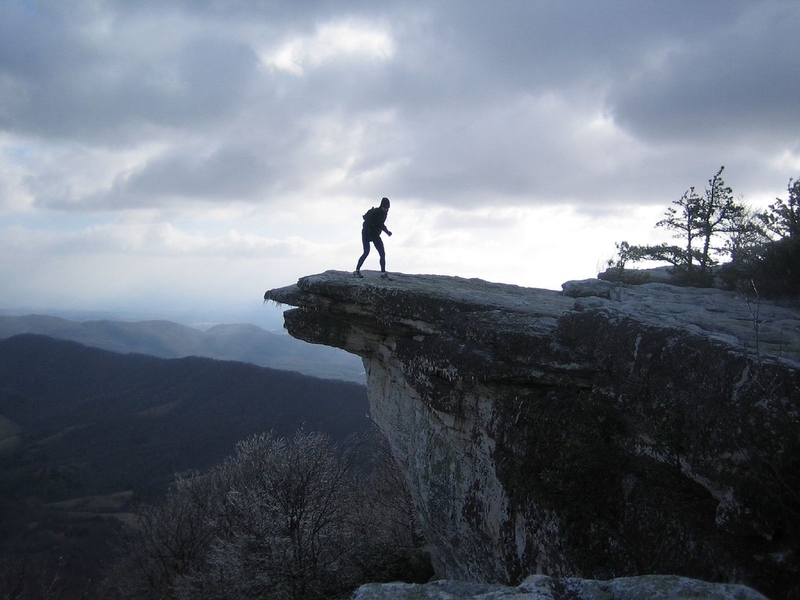 McAfee Knob is an iconic spot along the AT for hikers to pose for a photo, either standing near the edge of the knob or sitting on it with feet dangling over the edge. The hikers and the rescue team were off the trail about 7:30 p.m.